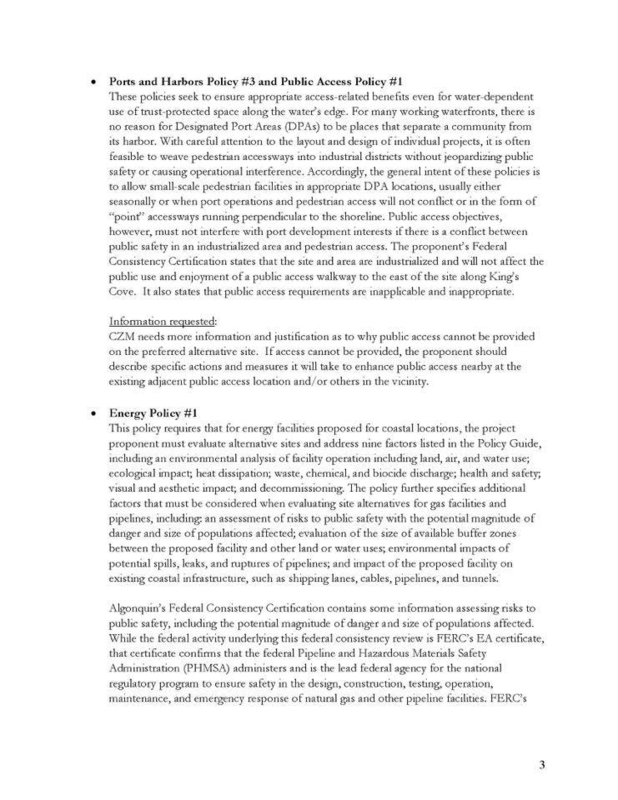 Nearly a year ago today, Coastal Zone Management (CZM) issued a one year stay on their review of the compressor station. They explained that they needed to obtain more information from Spectra, before they could conduct a review. That decision was issued on August 3, 2016. Today they have announced that they will be extending the stay by six months. This is excellent news, and will continue to hold up the project. You can read the letter here or below.